Inder Loves Folk Art: Good wife. 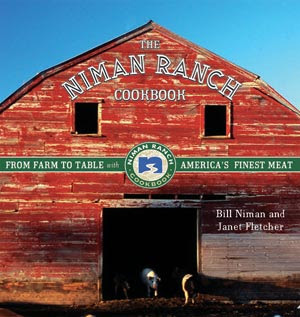 This is what I got Steve for Valentine's Day - "The Niman Ranch Cookbook: From Farm to Table with America's Finest Meats." I'm a vegetarian, so I think we can classify this as a "selfless" gift. Except that there are a lot of really cute pictures of piglets and lambs in the book, and I have a thing for baby animals (come on, admit it, so do you) - I enjoyed flipping through the farm pictures at the bookstore. But I must say, the cute animal factor is mitigated by the chapters on eventualy slaughtering and eating said cute animals. Still, if you've gotta eat meat, I'm all for the organic, pasture-grazed, vegetarian-fed, truly-happy-cows-at-least-until-they-die variety. And Steve loves to cook and looks really cute in an apron (maybe it's not such a selfless gift after all?). You are indeed a very good wife. 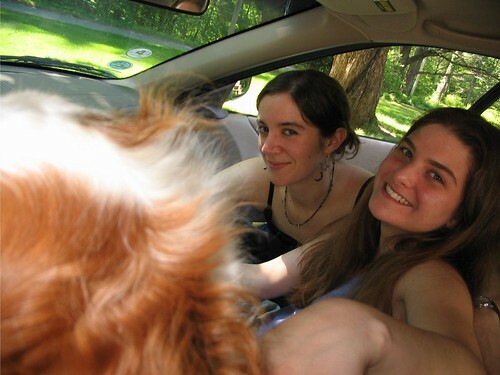 Also, I have the urge to call you "Goodwife" or "Goody" a la The Scarlet Letter.